The photographs in these five books represent a sustained effort to describe the contemporary vernacular landscape of Southern California and the American West. From his early work in the 1970s to his most recent series in Las Vegas (2000-2004), Wessel's wit and insight illuminate a world rich in nuance, humor, and irony. 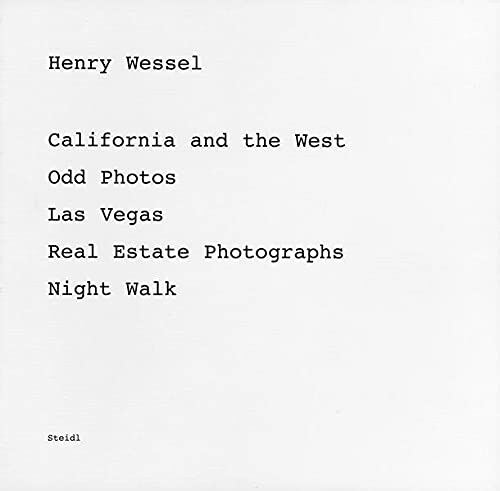 For the past 30 years, Henry Wessel has observed and recorded the unusual and the iconic, framed and formed by the light and landscape of the West. Photographing the endless vanishing points of a desert road in black-and-white or an opulent, gilded hotel corridor in Las Vegas, Wessel finds in each a metaphor for the region where people go to vanish, to assume new identities. Anonymous houses, sculptural cacti, and beachgoers in Waikiki are captured in all their sphinx-like inscrutability.